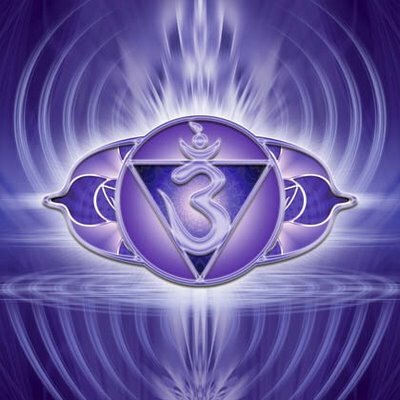 The sixth chakra or third eye is one of the most talked about energetic centers of the human. It is in this particular chakra where the individual ego merges with the cosmic ego. This is where awareness expands to the realization that nothing is separate, that we are truly all one. We have moved beyond the gross elements of earth, water, fire, air, ether and into the realm of light. 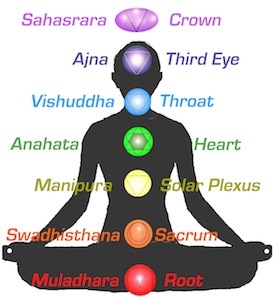 In the practice of Kundalini Yoga, the third eye is very important. 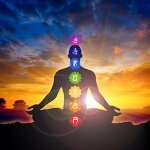 Almost every kriya uses the sixth chakra as a place of focus to activate the pituitary gland and nourish the third eye. By literally bringing the eyes to focus at the space between the eyebrows, we are stimulating the area corresponding to the Ajna chakra. Kundalini Yoga contains many profound meditations for the third eye and consistent focus at the physical locale of this energetic center is extremely powerful. “Ajna” means “to command”. Through the sixth chakra and pituitary gland we can master our minds. The third eye allows us to have a clear perception of our reality so we can fully understand our purpose in life. 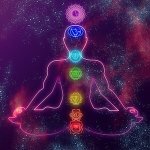 When our sixth chakra connection is strong, we have a reliable intuition and can see the unseen. Some people may experience visions and clairvoyance. On the other end of this spectrum, when we are disconnected from the third eye and our intuition, we can feel confused and depressed. Our mind seems “out of control” and we have a hard time focusing on any one thing. We may also hide behind intellectual analysis and reject spirituality. Physically, third eye weakness may manifest as eye problems, headaches, sinusitis, or nightmares. When sharing the technology of Kundalini Yoga, Yogi Bhajan was very explicit about the importance of intuition which is directly related to the third eye chakra. He said, “Going through life without intuition is like driving a car which has no side mirror and no rearview mirror. All you can see is just straight ahead.” This would be very confusing indeed, not to mention quite dangerous. If we live our lives without the ability to truly see our entire reality, it can be quite hazardous and bewildering. Luckily, with Kundalini Yoga, we have access to tools we can use to cultivate our intuition. The book The Mind, It’s Projections and Multiple Facets by Yogi Bhajan is an amazing collection of information and Kundalini Yoga kriyas to work with balancing all aspects of the mind and chakras. 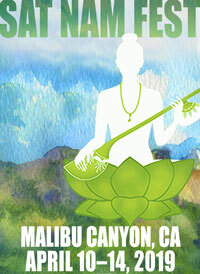 One particular meditation that focuses on the intuition and how it relates to our environment is Kirtan Kriya. This kriya stimulates the sixth chakra and helps us see below the surface so we can guide ourselves to conscious graceful actions in any situation. The Kundalini Yoga mantra used with this kriya is Sa Ta Na Ma which you can chant on your own or for a little support try using Mirabai Ceiba’s version on Cycle of Life. Another wonderful Kundalini Yoga practice is “Wahe Guru Kriya.” Its effects are undeniable and must be experienced to be understood. This kriya will bring the vibratory energy of the throat chakra up to the sixth chakra to assist in strengthening the intuition. It can be found in Kundalini Yoga by Shakta Kaur Khalsa. The use of the mantra Wahe Guru throughout the kriya profoundly affects the pituitary gland and the sixth chakra. Yogi Bhajan taught that Wahe Guru is the mantra of the Ajna chakra. You can also listen to and chant this mantra whenever you like. Snatam Kaur’s version on Merge & Flow is a simple tantric style allowing for deep merger with the sound current. Nirinjan Kaur has a soul stirring rendition called “Ether Tattva Wahe Guru Mantra” on Prem Siri. Listening to this mantra throughout the day can begin to enliven your connection to the third eye chakra. Yoga Mudra: Sit on your heels and interlace your hands behind your back in Venus Lock*. Straighten the arms and fold forward bringing your forehead to the ground while lifting the hands high away from the back. Close the eyes and focus at the third eye by gently rolling the eyes up and inward. Breath long and deep. *Venus lock for women is an interlacing of all the fingers starting with the right little finger on bottom. The thumbs are parallel to each other with the tip of the right thumb on the web between the left thumb and index finger. The tip of the left thumb rests on the mound below the right thumb. For men, it is the opposite, starting with the left little finger on bottom. Archer Pose: Stand with the feet about 2-3 feet apart with the right foot forward and the left foot at a right angle to the right foot. Bend the right knee to line up over the right ankle. You are now in a high lunge with the hips opening out to the side. Curl the fingers of both hands onto the palms and extend the thumbs back. Lift both arms up and extend them forward above the right leg. Then like you are pulling on a bow and arrow, bring the left hand back by the left shoulder keeping both arms parallel to the floor. Neck lock is engaged (See Throat Chakra article) and the breath is long and deep. Eyes are open and focused past the tip of the front thumb. Be sure to do both sides for 1-3 minutes each. Whistle Breath: Sitting comfortably, pucker the lips and breath through the mouth with a whistle. Both the exhale and inhale make a whistle sound. Eyes are closed and focus is at the third eye. Continue as long as you like. Some things to bring into your daily life beyond Kundalini Yoga that can help bring more awareness to the sixth chakra are: keep a dream journal since our intuition speaks very loudly in our dreams; wear indigo colored clothing or gemstones; consider fasting for a day; once per day, listen to your intuition no matter how small or silly it may seem. For example, if a quiet voice inside tells you to take a different route to work or to call a specific person, don’t dismiss it… do it and notice anything that comes out of your decision. When we begin to listen to that soft-spoken internal voice in small, seemingly unimportant ways, it opens us up to receiving more profound guidance from ourselves. Remember all the answers you seek are already within, you only have to listen. Sounds Interesting… It is very informative and I Like this Post…. 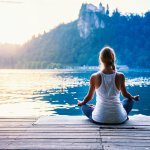 Awesome blog posted. I really liked reading this blog.